Thibaut de Vylder, CEO at dFakto presents to CIO Applications Europe how dFakto’s GDPR solution was a real opportunity for companies. Discover here the full article ! The General Data Protection Regulation has raised the data protection bar for companies with data on citizens of the European Union (EU). On the contrary, in dFakto, we believe that GDPR is a great opportunity to improve data management and processing above all within the data subject, client and partner relationships. In the process of attaining GDPR compliance, many businesses face unexpected GDPR-related workload to be achieved promptly after the initial GDPR Assessment. To address this challenges, dFakto offers a data-driven management ecosystem and complete end-to-end products and services to minimize the customers’ GDPR compliance issues while focusing on their competitive data advantages. 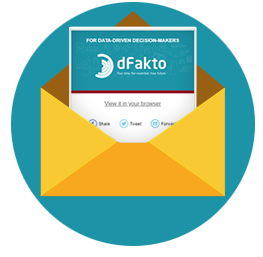 If you want to know more about dFakto’s GDPR solutions, click here !